Two police operations at the weekend have resulted in 5 men appearing at the Grenville Magistrate’s Court on Wednesday, 14 November 2018, on firearm and drug charges. Charges of possession of an illegal firearm and ammunition were laid against Kimonie Mark Phillip, 30 years, Steel Bender of Tempe, St George; Christopher Smith, 45 year old Machine Operator of Morne Delice, St George; and Chevon Jeremiah, 38 years old, Fisherman of Corbeau Town, St Pauls, after police intercepted the vehicle they were traveling in, on Sunday, 11 November 2018 at Mt Sealey, St Andrew. 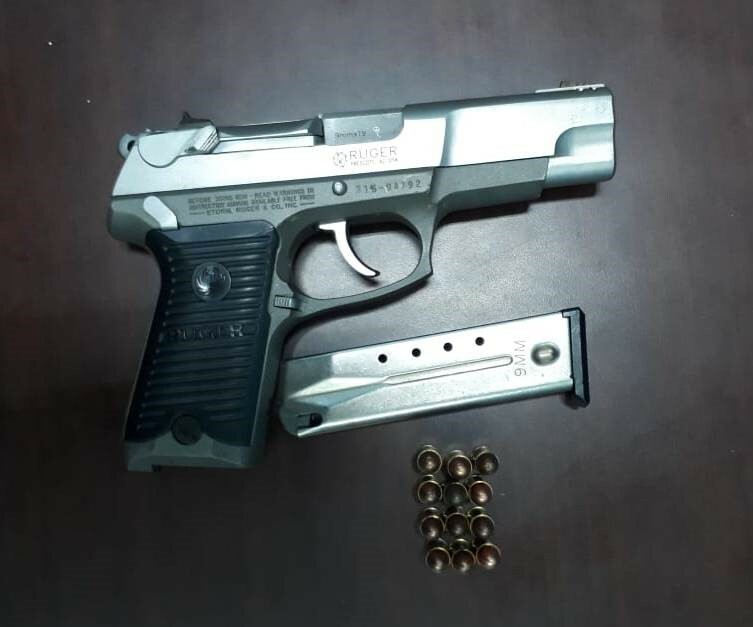 A Ruger 9mm pistol and a magazine with 12 rounds of ammunition were seized. Also on Sunday, 11 November 2018, two men, Cliffy Tyron Joseph, 31 years old, Machine Operator of Telescope, St Andrew; and Don Noel, 32 years old, Mason of Mt Pleasant, Carriacou, were detained in connection with the discovery of 34 pounds of cannabis, at Telescope, St Andrew. Joseph and Noel were subsequently charged with possession of a controlled drug. Police investigations resulted in Phillip, Smith and Jeremiah being linked to the discovery of the cannabis. All three, along with Joseph and Noel were charged with conspiracy to trafficking in a controlled drug. Additional charges of driving without a drivers’ licence and trafficking in of a controlled drug were laid against Joseph. All 5 men were granted bail in the sum of %15,000 with 2 sureties. They are to surrender all travel documents and report once a week to the police station nearest to their residence. They will to return to court on 3 December 2018.